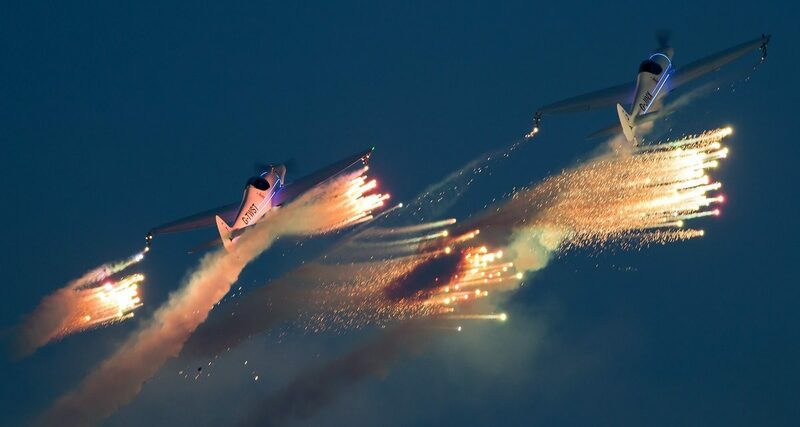 Exciting night flights will be returning to Clacton Airshow 2017 with three different displays performing over the town’s beaches to thrill fans. The initiative was trialed for the first time last year and it proved a fitting finale to the first day’s flying. OTTO, the Schweizer 300C helicopter, was a massive hit in 2016 – with his spectacular pyrotechnic effects lighting up the night sky – and he is back in the safe hands of pilot Roger Buis. With his maximum speed of 109mph and 750 feet per minute rate of climb, OTTO is ideally suited to sensational rotary displays. Also coming back are the FireFlies aerobatic display team and the Twister aerobatics team. The FireFlies consist of two Vans RV4 aircraft flown by pilots Jon Gowdy and Andy Durston performing close formation aerobatics, opposition and synchro flying. Fitted with a 5.3 litre 160HP engine they can go from zero to more than 200mph. The Twister team is very versatile with sparking displays with specially developed pyrotechnics streaming form the aircrafts wingtips. 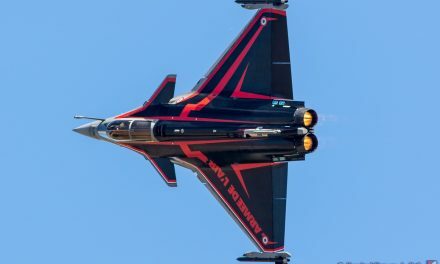 Clacton Airshow takes place on August 24 and 25 with the night flights on the 24th. Tanya Ferguson, Tendring District Council’s Cabinet Member for Culture and Tourism, said she is really looking forward to this part of the programme. “I don’t think many of us knew what exactly to expect last year but it was a fantastic addition to the line-up and something quite different,” she said. The last flight will be followed by an equally spectacular fireworks display on Clacton Pier. Pier Director Billy Ball added: “We have built the airshow fireworks into our regular annual fireworks programme and are delighted to be able to support this very special event in the town’s calendar. Organisers have already announced other flying displays as Team Raven, the Vampire Pair and Gerald Cooper for both days of the event. The trio join the ever-popular Battle of Britain Memorial Flight (BBMF), made up of the Lancaster and two Spitfires, who are also lined-up for both days. Also confirmed as taking part are the Tigers Parachute team; the Catalina and the world famous Royal Air Force Aerobatic Team the Red Arrows.